Dental phobia is a very real thing, and every year, it prevents millions of people from receiving their essential dental care. 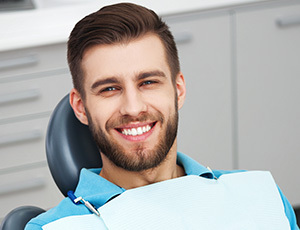 If the thought of going to the dentist is enough to make the hair on the back of your neck stand on end, then our team knows exactly how to help. With sedation dentistry, we can take extra steps to make sure you always have relaxing dental appointments. These safe and effective techniques have been used for decades and continue to improve, and they may be just what you need to get the healthy, beautiful smile you deserve without the stress. 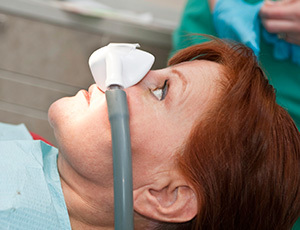 To learn more about sedation and how it can help you, contact us today. If you experience mild to severe dental phobia, then oral conscious sedation may be able to help those feelings go away. Your dentist will prescribe a pill for you to take about an hour before your visit so that by the time you sit in the treatment chair, you’ll be completely physically and mentally relaxed. You’ll still be awake the entire time, but time will fly by very fast and you’ll likely have very little memory of your appointment afterward. Because of the strength of this method, we require that you have a friend or family member drive you to and from the office the day of your treatment. Nitrous oxide, better known as “laughing gas,” has been used for over 100 years to help slightly nervous dental patients, and it’s so gentle that we can even use it with children. For this, all you’ll need to do is breathe in the colorless, odorless gas through a small nasal mask, and within minutes, you’ll feel a deep sense of relaxation. It will stay on for your entire appointment, and once it’s finished and the mask is removed, the effects wear off almost instantly. With this approach, you’ll be able to go back to your day immediately after your visit.